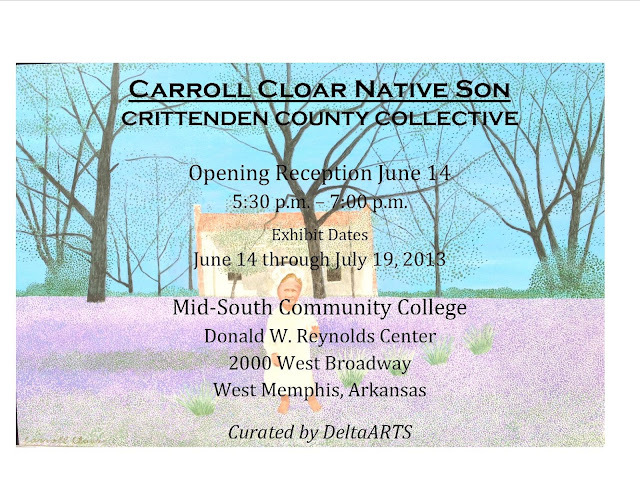 Carroll Cloar Native Son: Crittenden County Collective opening reception June 14, 5:30-7pm. Works on display at Mid-South Community College, Donald W. Reynolds Center, 2000 W Broadway in West Memphis, Arkansas, through July 19, Mon-Fri 8:30am-3:30pm. Curated by DeltaARTS.